With a large scalable screen size of up to 100 inches to display HD-ready WXGA content, this innovative teaching solution enhances learning. Featuring HD-ready WXGA resolution and a brightness of 3,200 lumens, the EB-675W’s ultra-short-throw design allows you to present large images from a very short distance with minimised shadows and glare. A 14,000:1 contrast ratio and HDMI input mean that students benefit from sharp, clear images. Split-screen functionality allows two pieces of content to be displayed simultaneously without compromising on quality. The moderator function allows teachers to remain in control, choosing what content to display. 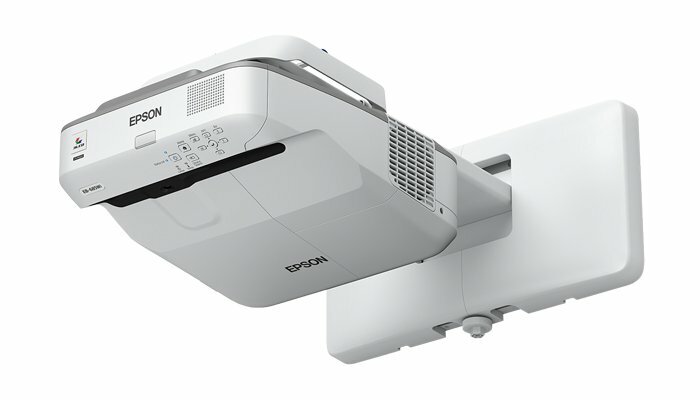 Connecting the optional Epson document camera allows you to easily display images and 3D objects with incredible detail for the whole class to see.